What the 4G auction means for you: which networks won and lost? 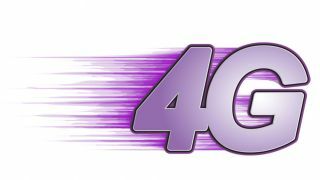 Which will be the best 4G network? The future's fast, the future's...purple? With the notion of not only 4G on the cards, but also talk of 800MHz and 2.6GHz spectrum being bandied about, it can get confusing very quickly – even the networks themselves have had trouble picking through the bids to see how their rivals have done. But in a nutshell, the main technology you should care about within the 4G allocation is the frequencies on offer: 800MHz, 1800MHz and 2.6GHz are the three main areas and all have different characteristics in delivering data to your mobile, tablet or dongle. 800MHz was the most sought-after during the auction, simply because it travels so far and so well. This means that networks can deploy long range 4G networks that can carry everything from HD voice to high speed data, and can really help solve the issue of getting broadband to those who currently are devoid of the technology. 1800MHz is the frequency that EE has been using to provide the UK's first 4G network, and it's designed to offer a balance between coverage and speed, something that is hugely important when you're trying to get people to take up a new (and costly) service. And finally: 2.6GHz (or 2600MHz if you're being specific) is the signal that's best for inner cities – think of it as a firework with a turbo-charged boost that fizzles out over long distances. This means it's great for short ranges with loads of people connecting at once rather than a few houses across the moors, which is why it's perplexing as to why some networks have eschewed it. Dubbed the 'winners' of the auction by some, ol' Big Red has got the most wide-ranging spectrum from the auction – and across all frequencies too, so it can deploy 4G in rural areas and in big cities. It's got twice the amount of spectrum in the 800MHz band and shedloads at 2.6GHz, which means not only can it be one of the best to serve the outlying areas, but it will also have the power to go big in the cities too – plus it's also nabbed some frequency to improve its service efficiency too, resulting in cost savings. The network wants to 'do an EE' and liberalise some of its own spectrum for 4G as well at the 1800MHz range, so despite paying close to a quarter of a billion pounds, the 4G future looks strong in this one. "We've secured the low frequency mobile phone spectrum that will support the launch of our ultra-fast 4G service later this year. It will enable us to deliver services where people really want it, especially indoors. This is great news for our customers. The next generation of mobile internet services will bring real benefits to both consumers and businesses." Much was made of Three's impending lack of 800MHz spectrum – it was widely expected that the network was going to have to stick with 2.6GHz and miss out on being a larger provider. As the winning "fourth national wholesaler", Three won the spectrum set aside to ensure it wasn't all nabbed by EE, Vodafone and O2. Word is that EE was going to be sucking up the 800MHz allocation, this leaving Three high and dry, but as it turns out, the numerical network prevailed. It has half the rural capacity of Vodafone, and doesn't have anything at the 2.6GHz level, but don't forget Three bought spectrum from EE as part of the deal to let the Orange and T-Mobile merger launch 4G early, so come October this year we'll be seeing 4G on 800MHz, 1800MHz and also high speed 3G at the 2100MHz level to make sure that its coverage is high.